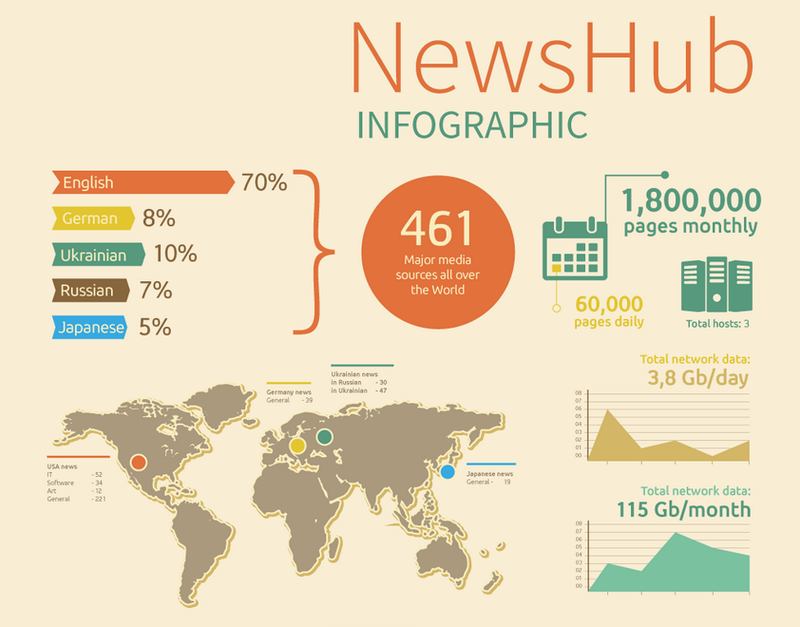 NewsHub is arguably the largest news database and the source of the latest news and happening across the globe, crawling news from over 460 online sources in different languages, with a daily extract of over 60,000 news pages. The platform allows for the generation, download, and sharing of pdf digest by email. News database currently available via API. Many personalized news services felt too narrow, focusing too much on one type of news. What if we could do one better, and create a service that delivered news covering a broader, yet still interesting, range of topics? 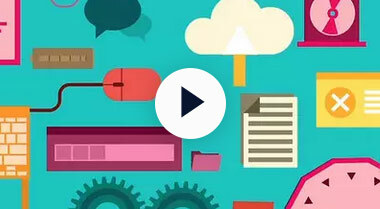 The cherry on top: tailoring it to the individual reader. 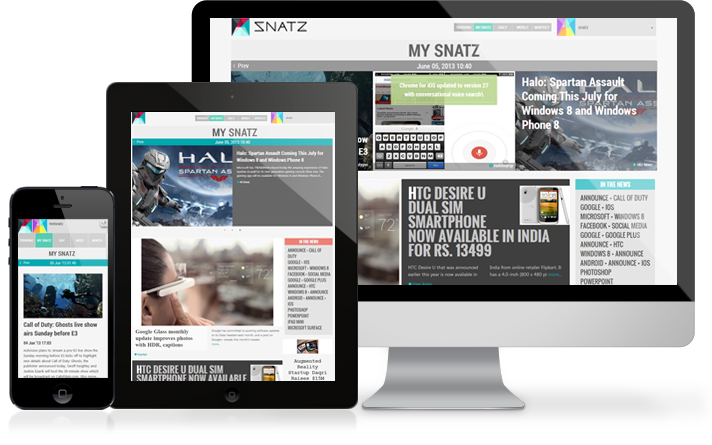 SNATZ uses original technology to solve the most common filtering problem - Long Tail and Filter Bubble. Developing since 2006, Chaika used in many projects to deploy custom network mesh or distributed network cluster structure. Supports native reducing of multiple nodes results (aggregation, duplicates elimination, sorting). Has build-in powerful full-text search engine and data storage, provide transactions-less and transactional requests processing, flexible run-time changes of cluster infrastructure, multiple languages bindings for client-side APIs, and more. Extract products details from any e-commerce site. Automated news extraction with scheduled recrawling and custom triggers. Apply customized filters and post-processing scripts. Visualize your reports with power of Google Charts or HighCharts or get it printed in PDF and sent by email. Get your project running in few days and even hours. Hundreds of agents retrieving hundreds of thousands pages daily and can be scaled even more, transparently for a user. 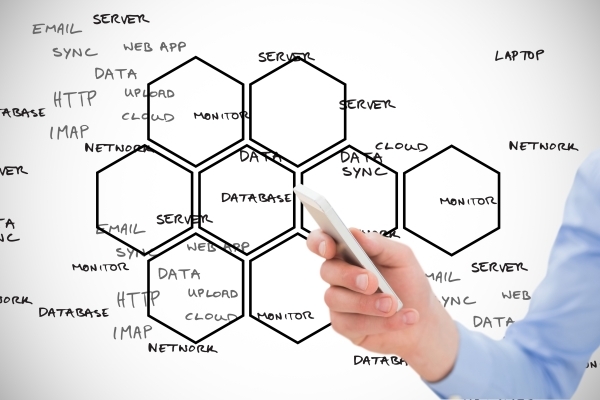 We provide cloud storage in different formats and access to your data via DB interfaces and APIs for major programming languages. Track progress of your project in real-time. Сollect data one-time or set schedule for non-stop data update. Get notified by email or SMS alerts. Open architecture allow to extend functionality with 3rd-party open source extensions and plugins. System can be installed on your servers and customized according your project needs. Tags Reaper is advanced automated scraping tool we developed using top-notch technologies and out 10 yeas experience in data collecting and processing. 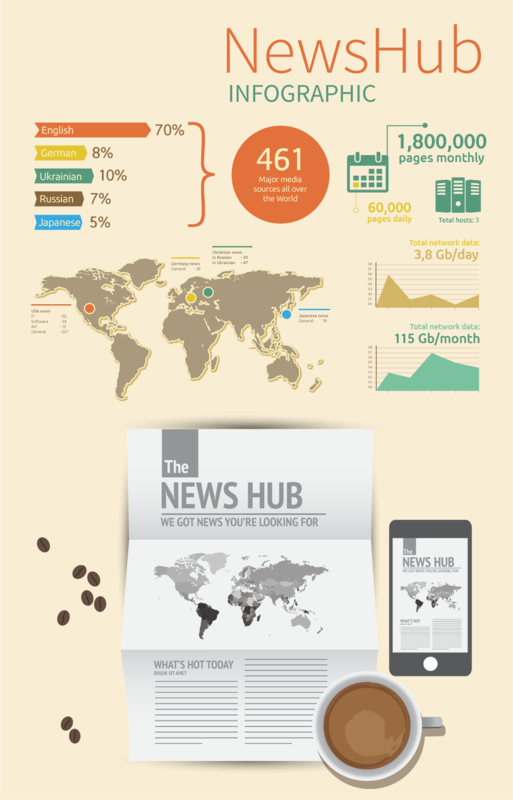 Сollects over 60,000 news articles daily from 450 major news sources. 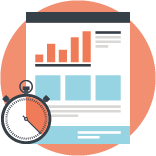 We offer custom reports on topics popularity and news trends for any period of time.